A park in Yucheng District, Ya’an City of southwest China’s Sichuan Province has recently caught the attention of giant panda fans, as a giant panda-themed lantern show officially kicked off on the evening of Jan. 28. 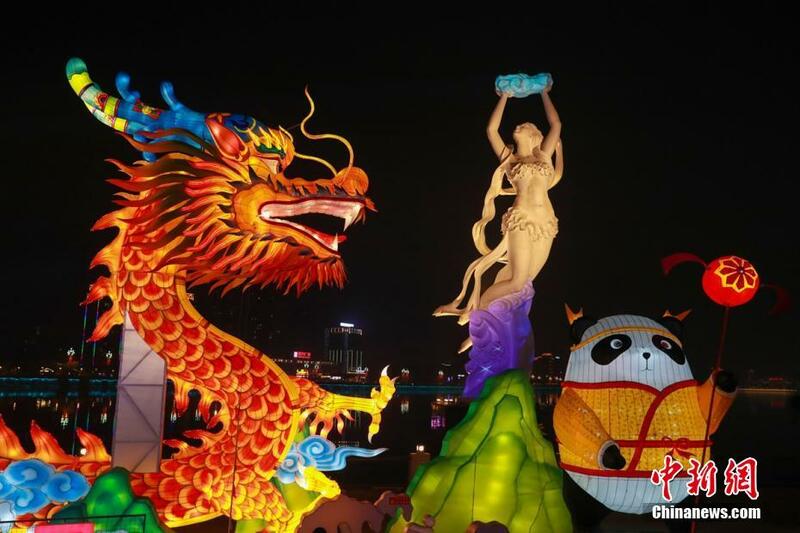 As an important event in the celebration of the Chinese Lunar New Year, which falls on Feb. 5 this year, this giant panda-themed lantern show is scheduled to last from Jan. 28 to Feb. 19, according to scol.com.cn. Fabulous lanterns in various shapes and colors create a festive atmosphere. Lanterns in the forms of the Ya’an mascots – Ya Ya and An An, alongside a set featuring a giant panda figure named Pang Dun’er (an adorable giant panda) bring enormous joy to visitors.